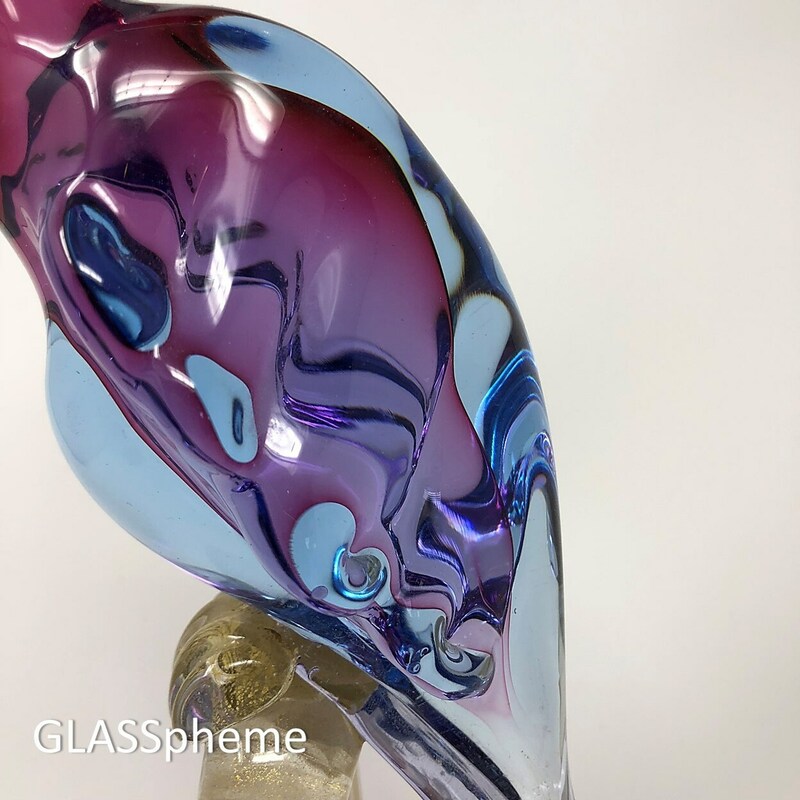 Casual glass collectors and enthusiasts TURN BACK NOW for there is no return after experiencing the devastating beauty of Alfredo Barbini's mid-century bird sculptures--the intricacy, the brilliant colors, the sweep and grace of the lines. 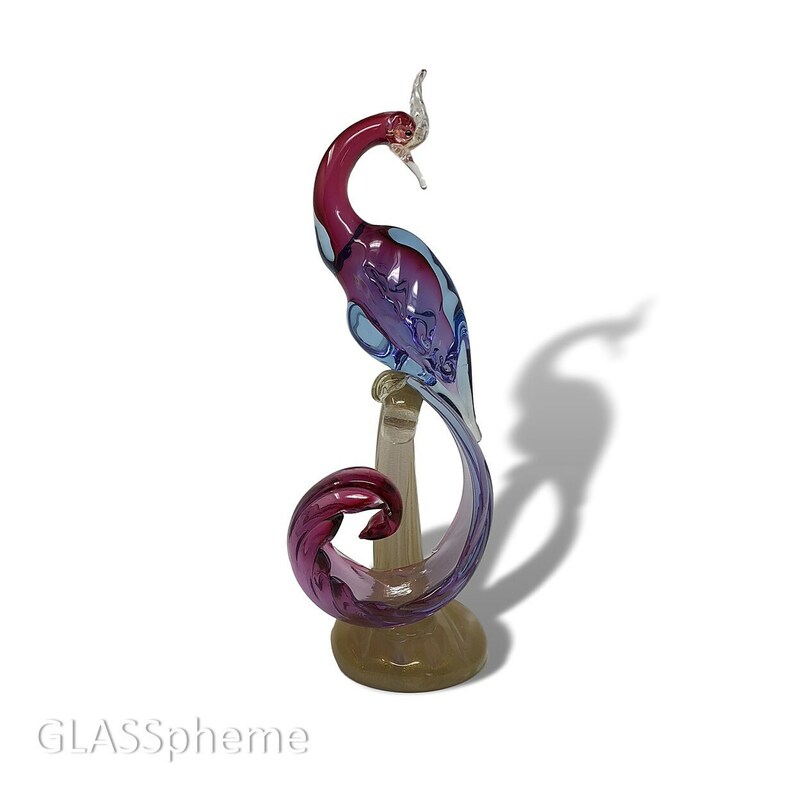 The bird's body and tail is dominated by a divine blend of cranberry and "Alexandrite" glass. 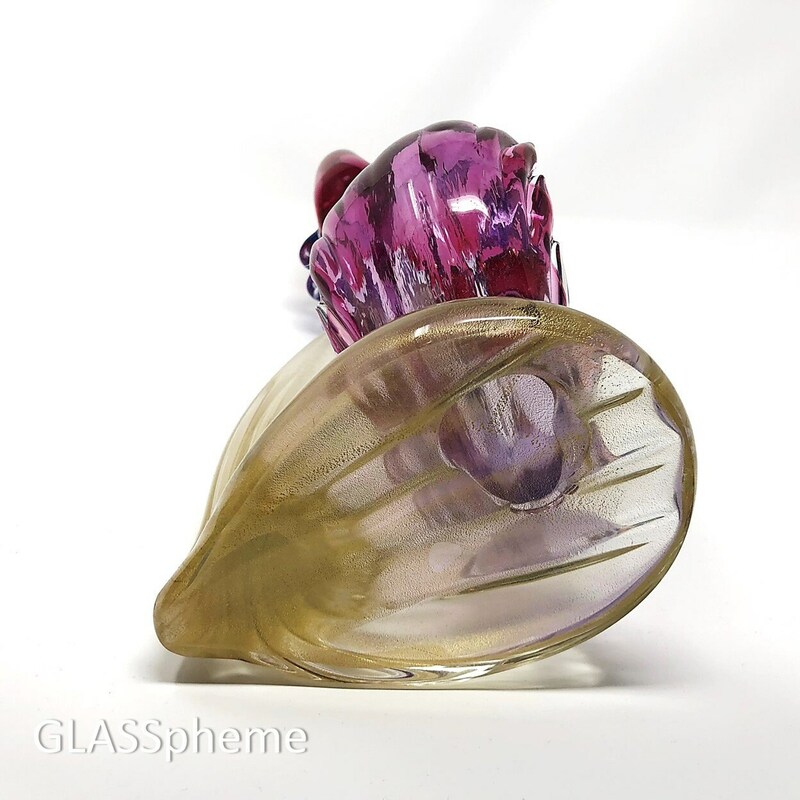 (The Alexandrite will appear a pale ice blue or an intense lavender depending on lighting conditions.) Sparkling gold aventurine graces the feathers and stand. This rare extraordinary captivating beauties will enchant and bewitch you. Consider yourself forewarned. 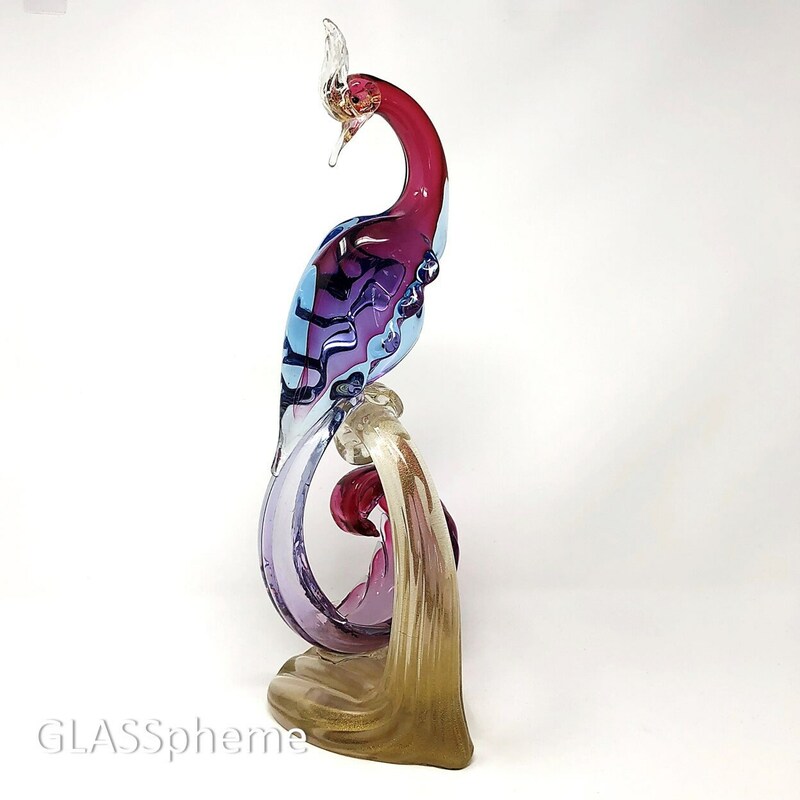 Produced by Barbini for the Weil Ceramic and Glass catalog CA 1960s, this magnificent piece are well documented.